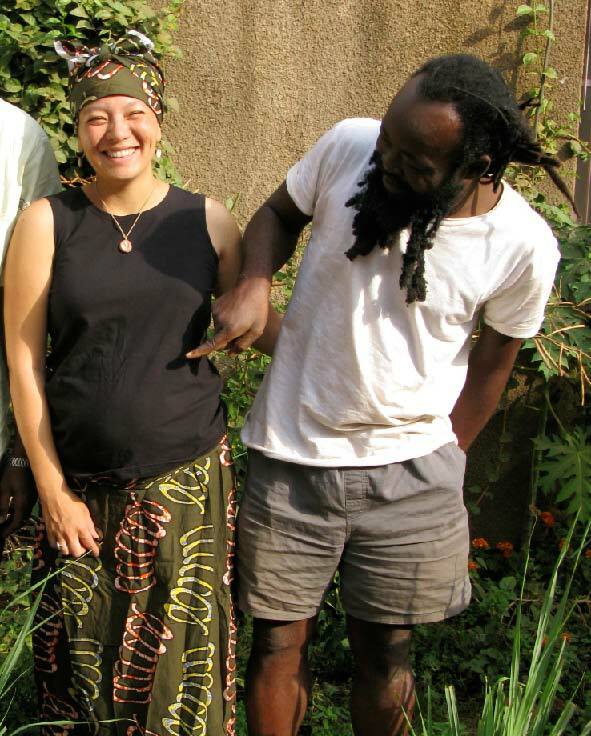 Sister Khefira and Master Naba Lamoussa Morodenibig at The Earth Center in Ouagadougou in 2007. THE EARTH CENTER FAMILY comes together annually to honor our ancestors Master Naba Lamoussa Morodenibig and Khefira Hasati. Master Naba, Maakheru (truth teller), our teacher came to the United States with a mission to heal the minds of everyone here in the colonial diaspora. He brought to us the sacred wisdom of Traditional Spiritual Masters. With this knowledge the children of the colonial diaspora can set out to live a life of quality. This sacred information is under the protection of the ancestors that have preserved these teachings for over 2,500 years. Through these teachings, I am learning to face my own corruption and strive to be a better human being. Sister Khefira is an important pillar in the sisterhood of the M’TAM schools, having upheld many important responsibilities within the Earth Center during her life. The example set by her has become a model for all future Earth Center generations. After a 13 hour drive I arrived at a spacious Chicago property. I was greeted with warm smiles and hugs. “The men are here and the women’s quarters are there,” I was told before I was whisked away with my luggage to a comfortable three story house packed with women and sleeping children. The concrete cushioned our bare feet as we moved from one house to the next. I would never dream of walking around New York with out shoes. It was another reality, and the sun had not yet risen to reveal what was to come in this small but steadily growing Kem community. The Kemioo are devoted to the evolution of humanity. The Kem leads by example by improving the quality of their own behavior. With a humble and honest approach to the Divine World, The Kem strives to maintain the purity of the mind, body and spirit.